It was almost a decade ago that Jeb Hensarling and I introduced The Right to Fly Act. And on October 13, our dream will be fully realized – North Texans will now be free to fly where they want to, from where they want, when they want to, on what airline they want to – and at more affordable prices. Our efforts slowly gained momentum, and national support soon followed. In 2006, President George W. Bush signed a version of our bill into law that would slowly dismantle the Wright Amendment over eight years. That day has finally arrived. Now that Love Field is fully open for business, this means North Texans will have more travel options and at more competitive prices. Signed into law in 1980, the Wright Amendment was intended to protect the struggling Dallas-Fort Worth (DFW) International Airport from local competition by placing distance limitations at Love Field. While the Wright Amendment helped the DFW Airport – which is now the third busiest airport in the world – it is no longer necessary. But more importantly, this Amendment needed to be repealed because it hurt consumers. 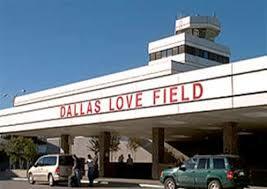 The Wright Amendment’s restrictions made it hard for Love Field to compete with other airports that were allowed to offer nonstop, long-distance flights. Texans were paying the price for this lack of competition – both with their time and their pocketbooks. In fact, according to the Department of Transportation data from 2005, North Texas residents were paying approximately 30% more than the national average for comparable flights out of the DFW Airport. This was just plain wrong! Everyone wins when you unleash competition and let freedom and free enterprise prevail. That is what the Wright Amendment Repeal is all about – giving consumers choice through competition. At a time when government tries to regulate virtually every aspect of Americans’ lives, this repeal is a particularly meaningful win that should be celebrated. The repeal of the Wright Amendment also serves as a testament to what we can accomplish with the American principles of hard work, determination, and commitment to freedom. As a 29-year Air Force veteran, I took an oath to defend freedom and the American way of life. In Congress it is my honor to continue to fight for those same freedoms on behalf of my constituents.